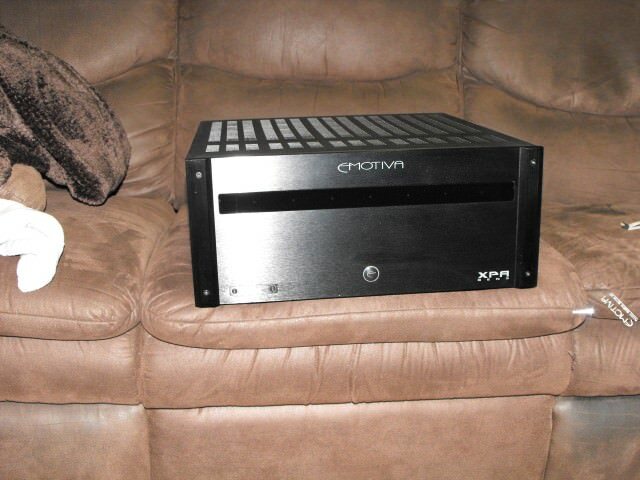 Who here has an axiom amp and how do they like it. I don't want to jinx this, but I may have my Emo sold and after much reading I want to get an axiom amp. The best feature being that I can add channels later on if I want. Has anyone had any issues minor or major? Oh and if anyone has some pics of the gutz post em please. Dakon get that network fixed, were you able to ping your receiver? I have a 1000-4. It looks after my M80's real nice like. It looks minimalist, but its a beast. Built like a tank. I like the led (not too bright to be up front, if your gear already is). Thanks CV for the pics and BR for the feedback. I'm not worried about looks, just whats under the hood. All my hotrods were the same way, shinny paint doesn't ,make it faster or in this case sweeter sounding. I wanted to add the trigger has never failed.